A sunny and breezy day saw FoSB overwhelmed with the response to the the “Beat the Post-Christmas Blues” Beach Clean on the 28th December. The day began with an interview on BBC Radio Sussex with Danny Pike and by 1030 people were pouring onto the beach to help. We recorded 100 adults and children involved along with others who just grabbed a bag and got stuck in. With these numbers we were able to litter pick the beach from Ferry Road west to Beach Green and east as far as the Burrells taking 60 sacks of waste from the beach. This was then collected from the various drop of points by Mark Quartley’s Clean up team from Adur Council. After their efforts, the volunteers were served with hot wine and mince pies which the Beach Cafe, once again kindly hosted on our behalf and our thanks go to them and to all who came and made this day such a great success. See you all in the New Year! 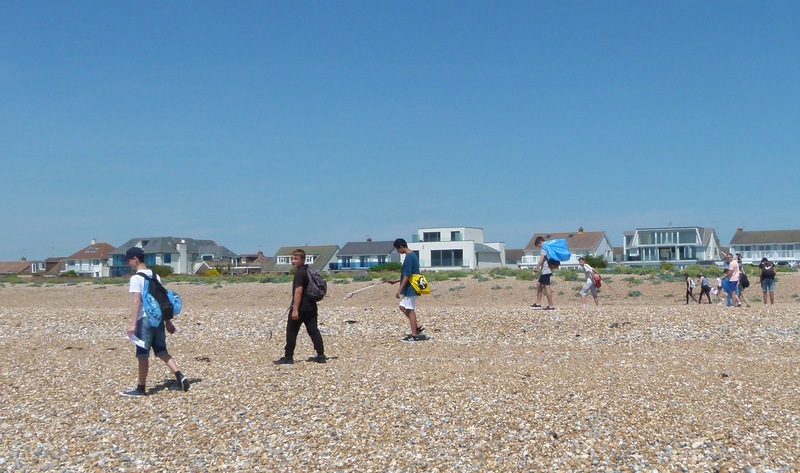 After a stormy week, a sunny day brought 42 adults and children to Shingle Rd., for the MCS annual Great British Beach Clean. The volunteers cleaned the whole beach accessed by the Boardwalk and took off 40.98kg of rubbish. Actual results can be accessed below but our findings have now been sent to the MCS to add to their database of rubbish collected around the British Isles over the weekend. A big thanks to all who came and supported this event. Last years results have just been published and as our survey results (below) show, little has changed. We too found a great deal of plastic bags and sweet/chocolate wrappers in our survey, and though not recorded in the survey area, many volunteers reported dog faeces both bagged and bare on the beach. A beautiful sunny morning brought old and new friends to the annual rock pooling event on the beach behind Shoreham Fort. The pools having been exposed by the falling tide. 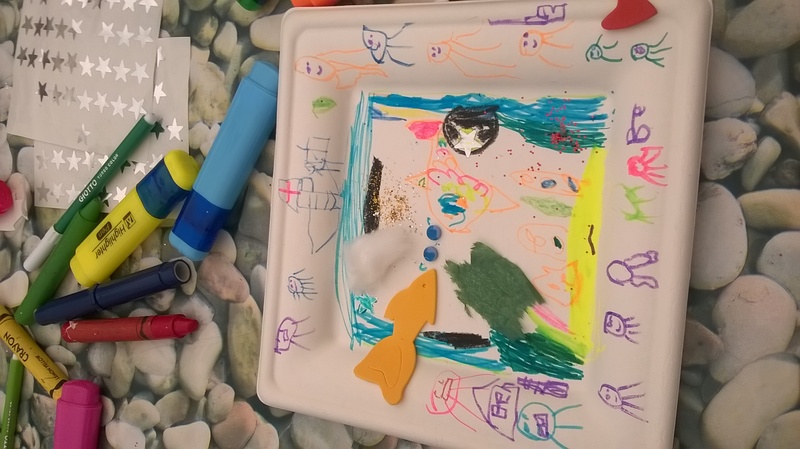 After a brief introduction and a warning not to catch the fragile fish fry that abound in the pools, parents and children spent a happy couple of hours searching for marine life and bringing their finds back to the holding tanks at the top of the beach for closer examination. Common Mussels, Dog Whelks and Periwinkles featured as well as the purple Sea Anenome. Crabs of various sizes, proved fun to catch and hold and a single Isopod, with its stripy carapace, was a centre of attention. Prawns of various sizes showed their speed and dexterity in avoiding capture, but enough were caught to give everyone the chance to admire their filament-like antennae and almost transparent bodies. As the tide began to rise, the marine life was released carefully and safely back into the filling pools and families stayed for picnics. New members joined and we look forward to seeing them and others next year about the same time. The last school visit before summer hols. Sadly after the sunny weather, the day of the visit was dull and drizzly however it did not dampen the enthusiasm of the children. The visit was in two halves, the first focusing on the rock pools near the Shoreham Fort where the children explored the pools. 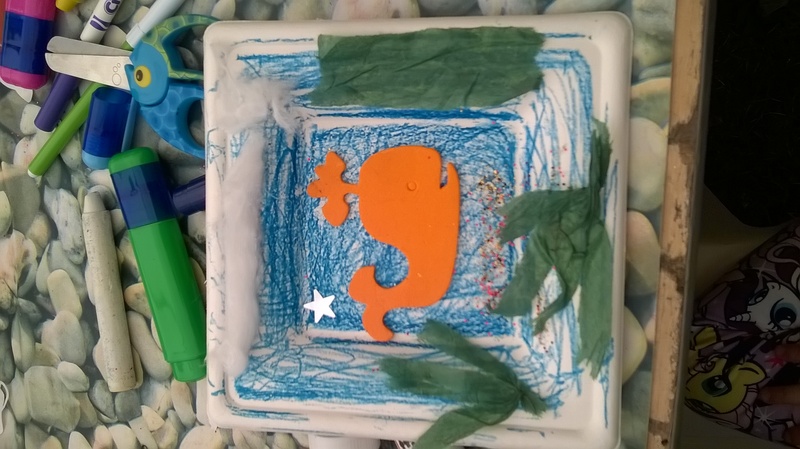 A table and some trays where set up so the children could bring back some of the creatures they found and then Steve talked about the creatures in the trays which included juvenile shore crabs, blenny, shrimps, prawns and edible periwinkle. The second part of the visit focused on the vegetated shingle as plants was one of the topics the children were learning about this term. Steve brought along a plant from his garden and asked the children that if he planted it on the beach would the plant survive. They said no. Steve then asked them why and the children listed lots of reasons such as no soil, no freshwater, sea spray, strong winds etc. The shingle plants have adaptations that allow them to overcome the problems of living on the beach. 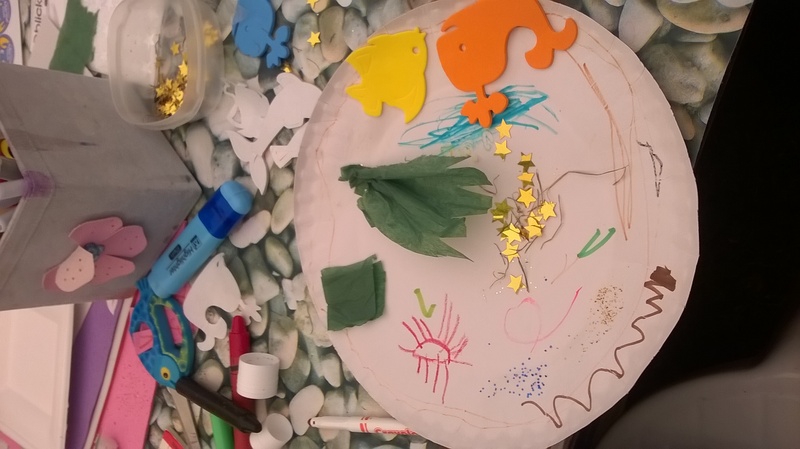 The children used an activity sheet to look for these special adaptations and then identified the plants using an ID guide sheet. The children did well despite the strong wind but unfortunately because of the weather they did not see any bees, butterflies or other invertebrates. 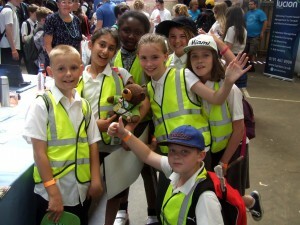 The children still had a great day and the teacher said the children had learned lots. Steve has participated in the eco-summit on numerous occasions and this year he was asked to be the Key Note speaker. He started the keynote by talking about Shoreham Beach Local Nature Reserve, why it’s important and the role of the management group and the Friends of Shoreham Beach in caring for the reserve and engaging the public. Steve also spoke about the educational opportunities on the reserve. 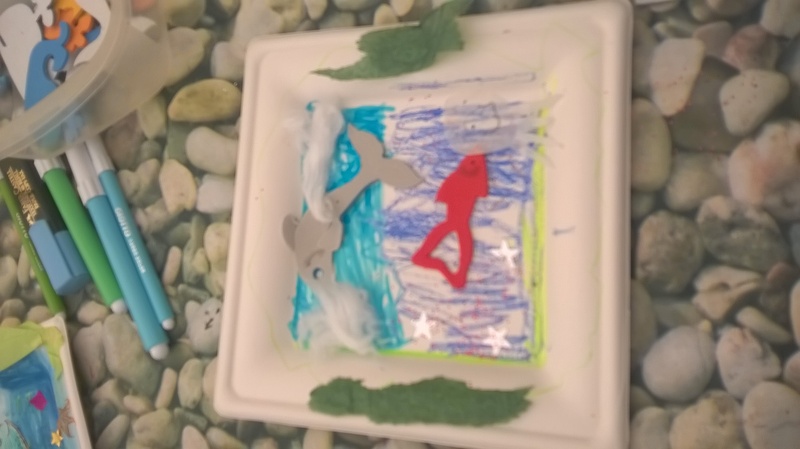 He then spoke about the adventures of Ed the Bear and how he has used Ed to create links with scientists around the world and to share their knowledge about the oceans. This includes the possible impact of climate change on Shoreham Beach as well as other issues. Steve also ran three workshops during the day based around Ed the Bear. The first two focused on topics touched on in the keynote such as how oceans moderate our climate and weather; provide 50% of our oxygen, freshwater, food, new medicines and more. 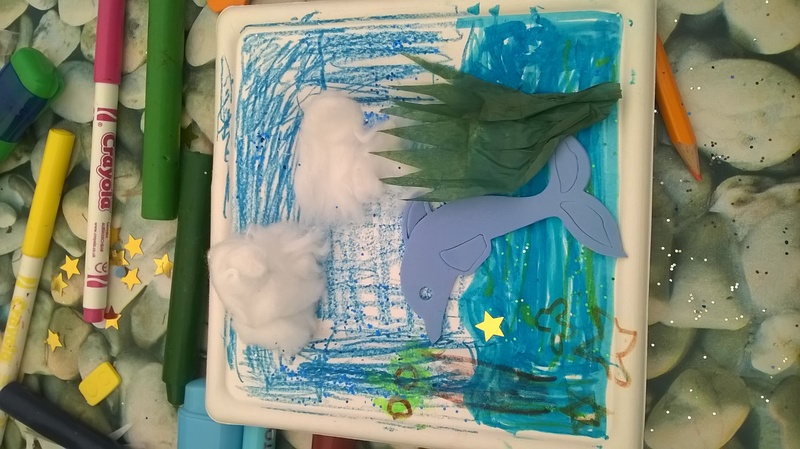 This was followed by an activity where the children took on the role of albatross to explore the dangers of plastic pollution to marine life. The third workshop was for secondary school pupils and explored the same issues but in a more scientific context. Steve also manned a stand during lunch and breaks and gave out the LNR leaflets and educational flyer. The day was a great success. 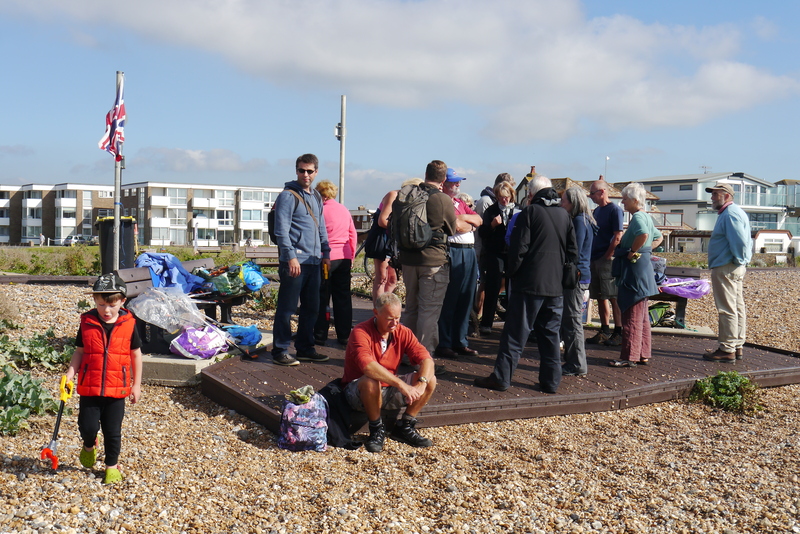 Despite the wealth of events going on in Shoreham over the weekend, a hardy group of FoSB members and new friends arrived at Beach Hut 29 on Beach Green. 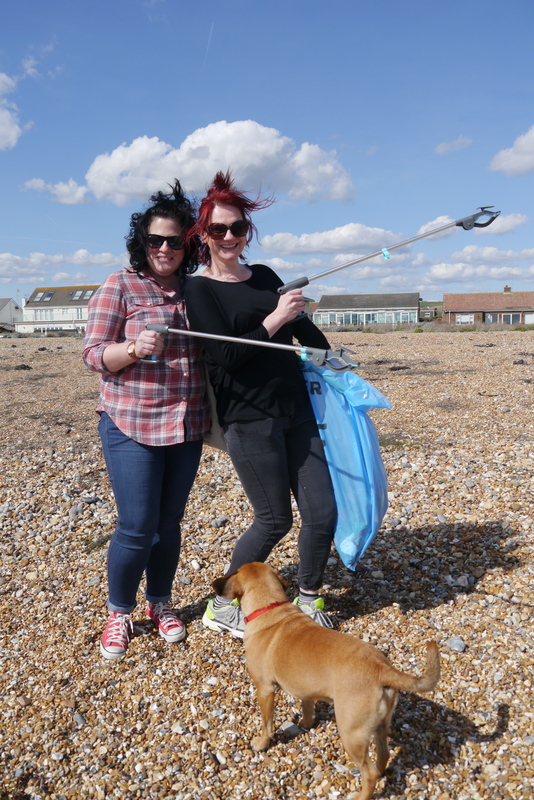 On a gloriously sunny and windy day, the beach area around the groynes at Beach Green was thoroughly picked over and 14+ bags of litter removed from the beach. Tea was drunk and cakes were eaten or bought for later. 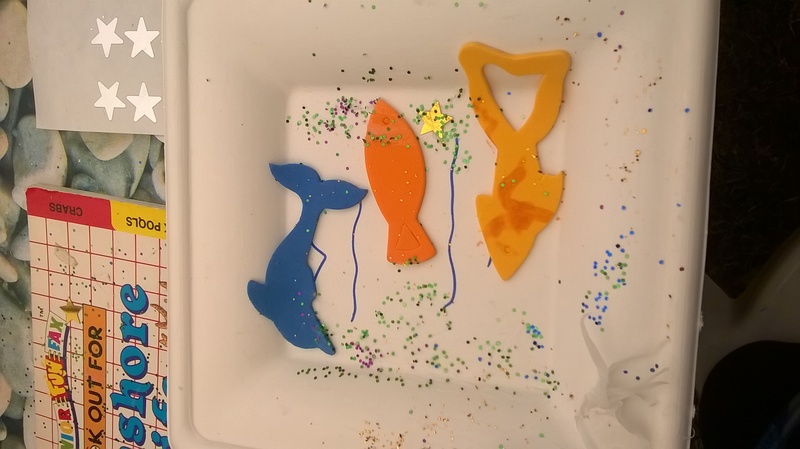 The children who attended had great fun with the mini-grabbers and it was good to see parents providing encouragement and learning about keeping the marine environment clean. One family spent an hour picking nails from the beach, the remains of a fire of palletts being used for a bbq, something which is prohibited on the Local Nature Reserve, due to the chemical nature of the resulting ash affecting the delicate ecosystem of the wild flower beach. Much glass,cans and other drink related debris was removed from the depths of the tamarisk bushes that shield the beach huts and we discovered that vandals had superglued locks on other beach huts preventing access by their owners. luckily ours was unaffected and we thank Susie Jardine for the loan of the beach hut and to all who attended. FoSB are now linked with the #2minutebeachclean initiative. Look it up at www.beachclean.net and do your own cleans. 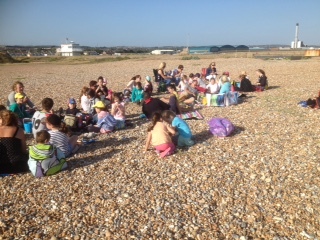 Ist Sullington Brownies started their summer picnic at the Fort with a nature walk along the beach from The Burrells led by John Charlish, one of the FoSB committee. 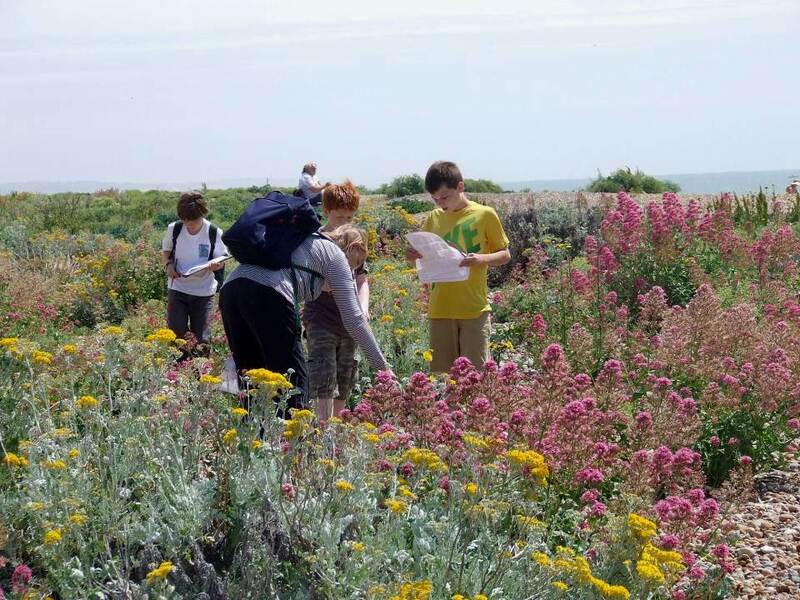 After a brief talk by John about the beach and the flowers, the girls set off in 5 teams of 4, identifying flowers from the FoSB guide, collecting shells and stones and doing a 2minute litter pick. 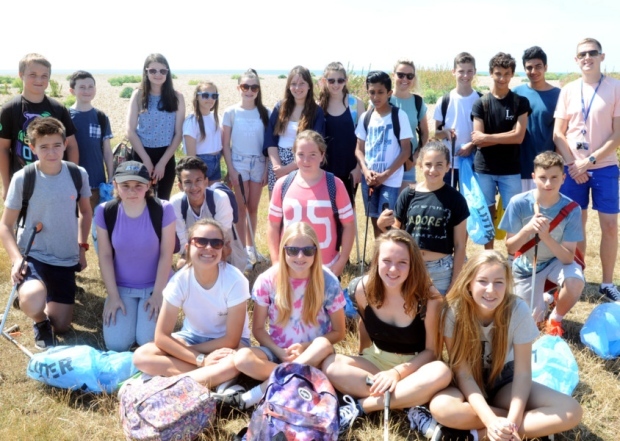 A group of students 11-14 years from Shoreham Academy undertook a beach clean on Shoreham Beach. Their teacher Mrs Firth said: “My form group wanted to give something back to the community. They have done a great job organising this themselves and it is so lovely to celebrate their integrity as young teenagers within their local community”. A student Mia, 13, said: “Shoreham is such a nice place, you expect to see a nice beach but it is ruined by lots of litter. We just wanted to make it the nice place it is”. 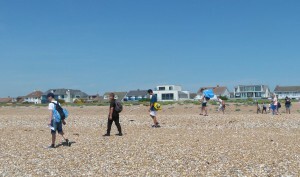 The students walked down from their school and collected a lot of rubbish at Ferry Road end of the beach before walking along to meet Steve and Chris at Shoreham Fort. 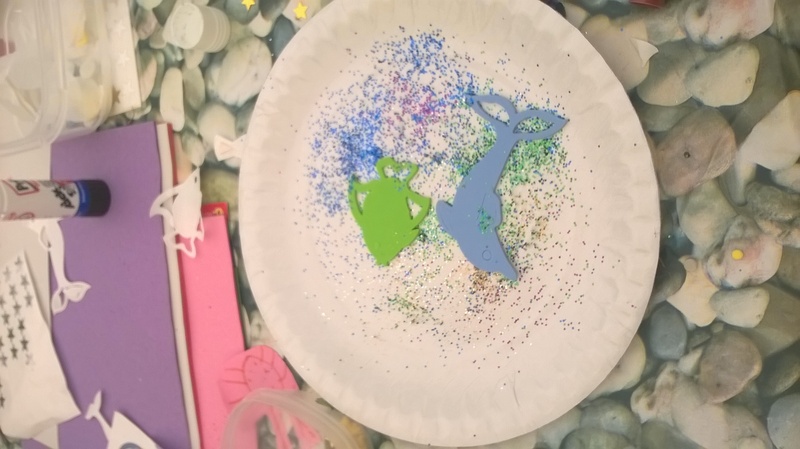 Chris talked to the students about the importance of the nature reserve and the vegetated shingle and Steve spoke about the damage plastic does in the oceans to wildlife – which followed on from materials he had sent to the school prior to their beach clean. 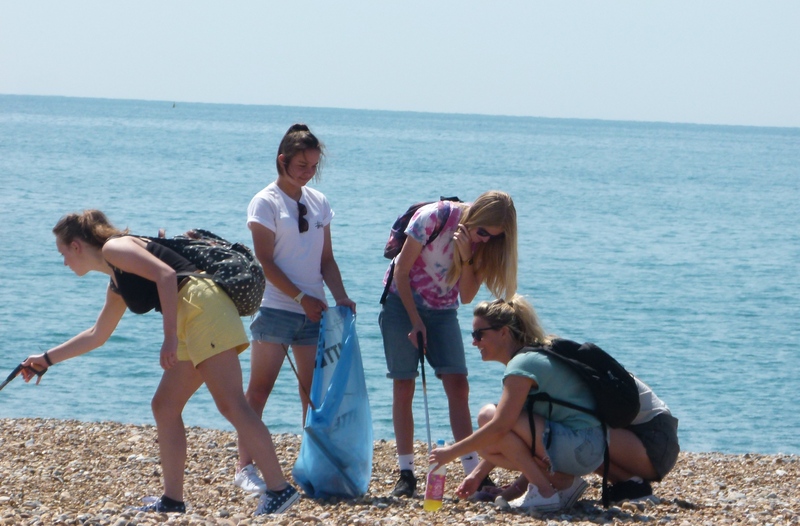 As part of the beach clean, Steve organised a beach clean survey of a 200 m stretch of beach collecting and recording every item they collected which totally 436 items. This included 144 small pieces of plastic, 31 pieces of fishing line, 14 pieces of nylon rope, 19 plastic drink bottles and 9 plastic bags. They also found some unusual items such as a 4 way plug socket, a nappy, several cotton buds and a shot gun cartridge. Steve finished the beach clean with a debrief about the items they had collected and where they may have come from. This included some items that had washed down river, including cotton buds, that are often flushed down toilets. Some items have been washed up from the sea but many items have been left behind by beach users and if we could stop this we would greatly reduce the debris on our beaches. 8 million tons of plastic find their way into the marine environment each year. 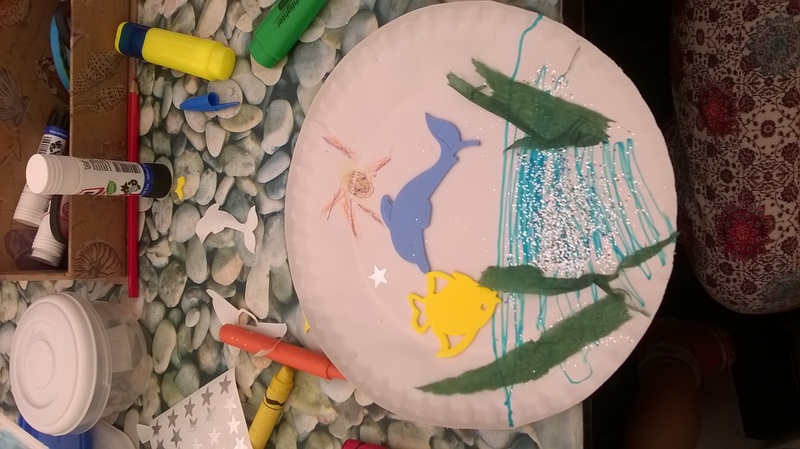 While some animals can become entangled in plastic and some mistake plastic bags for their jellyfish prey a huge problem is the many tiny pieces of plastic that can be easily swallowed by a wide range of marine animals. We ended with a look at some of the natural items that are washed up onto the beach, (from shark and ray egg cases to seashells and cuttlefish bone) and what they can tell us about the amazing animals that live off our coast. 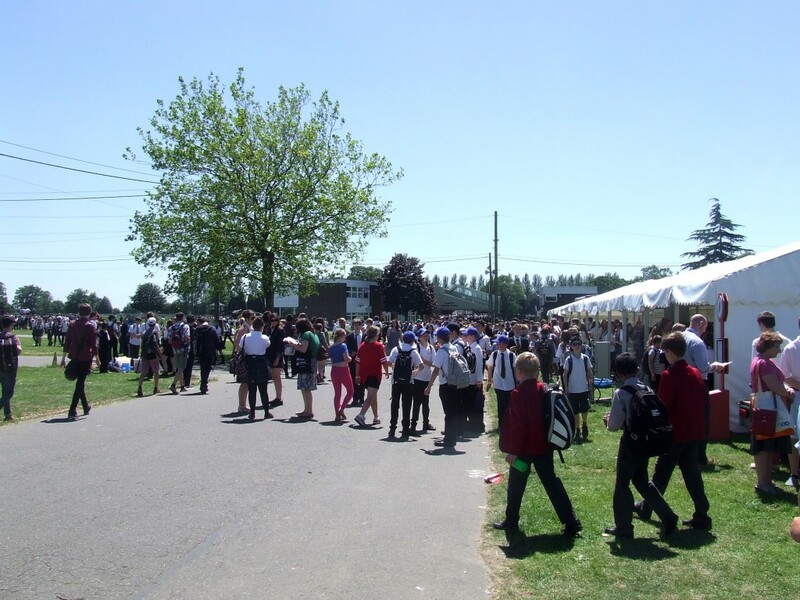 We took part again this year in the Big Bang Stem Science Event at South of England Show Grounds. 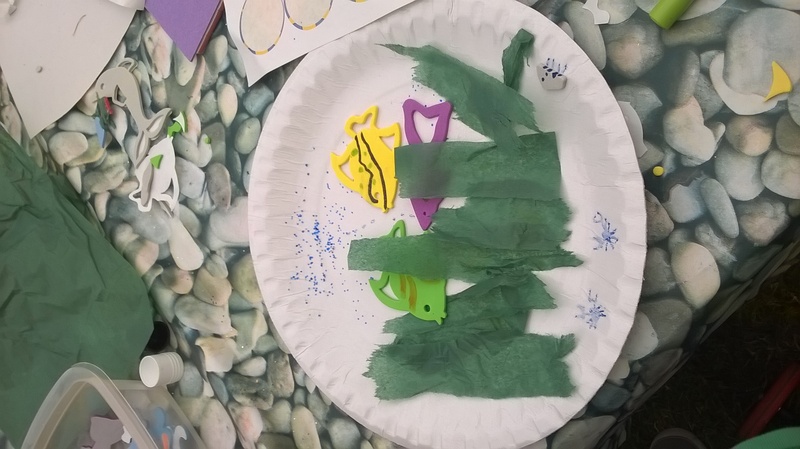 Steve Savage took a display that looked at how Shoreham Beach Local Nature Reserve is connected to the global ocean system and how Shoreham Beach may be impacted by climate change, sea level rise and other global issues. Steve was assisted by Jacky Woolcock, who also helped at the event last year. 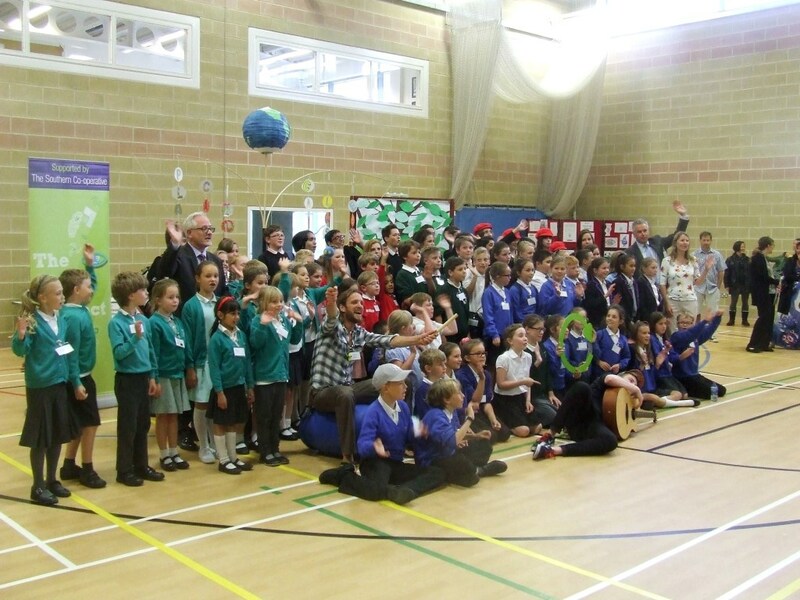 Science is making a great come back in the South East and attendees this year reached 7000 pupils and teachers. 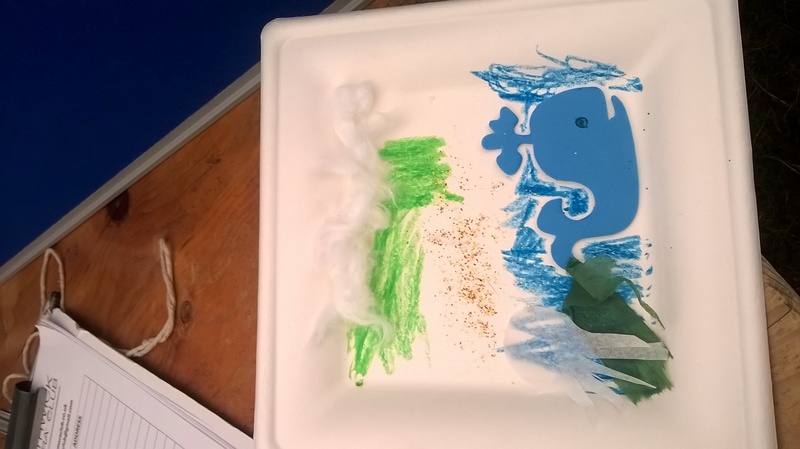 The display looked at how our marine character Ed the Bear has been visiting ‘real’ scientists around the world to find out how we benefit from the oceans, which includes our climate and weather, 50% of our oxygen, freshwater, food, new medicines, wellbeing and much more. 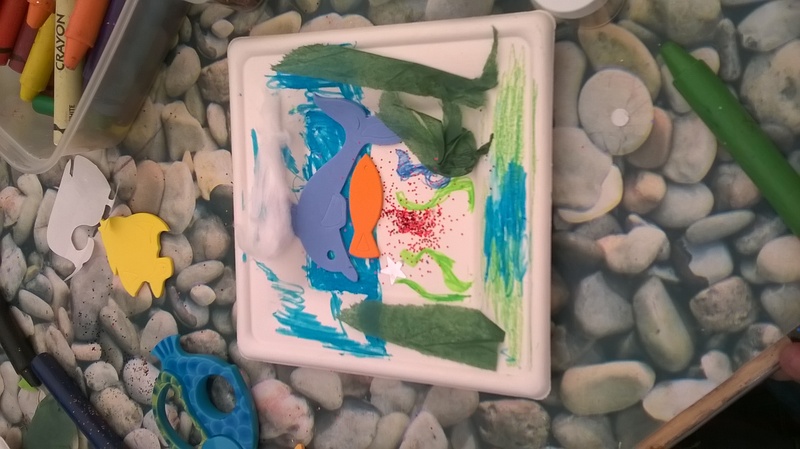 The display included some science experiments. An experiment demonstrated how the thermohaline circulation helps to control our climate and weather. Another focused on thermal expansion – how climate change is warming the ocean which causes it to expand contributing to sea level rise. We also demonstrated how an increase in atmospheric carbon dioxide is making the ocean more acidic threatening corals and shellfish. 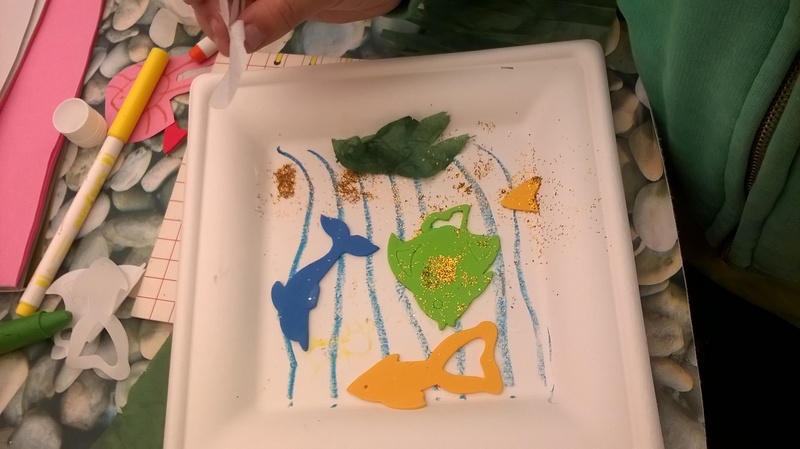 We also had an activity to help demonstrate the problem of micro plastics in the ocean. 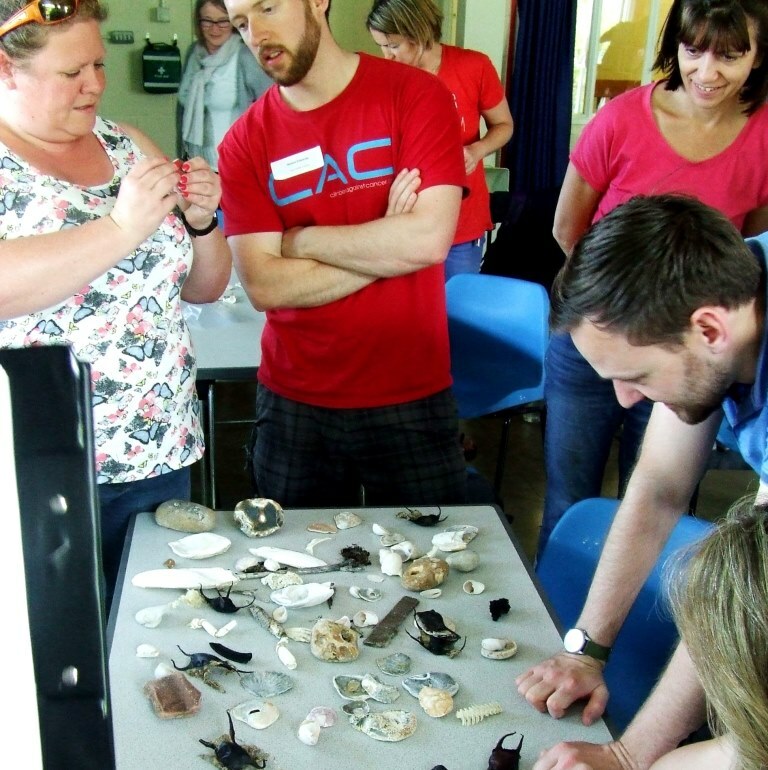 A marine day conference for teachers, led by Steve Savage, took place on the Shoreham Beach Local Nature Reserve to inspire teachers about our amazing coast and how they can implement marine studies into the school curriculum. 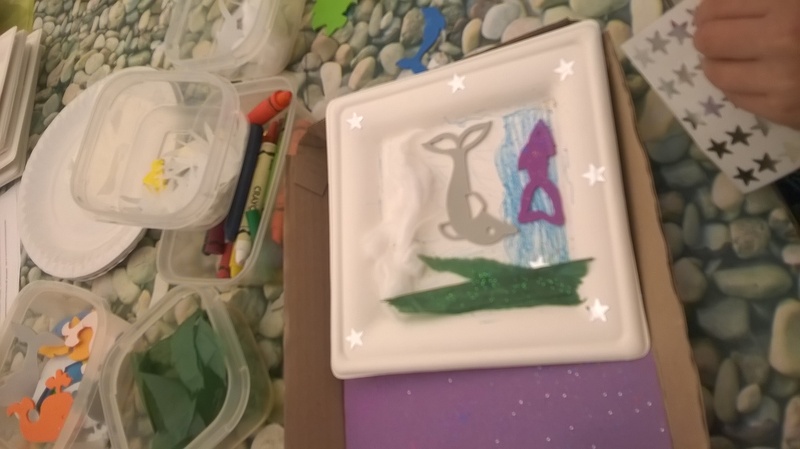 The conference was attended by teachers from 19 local schools and was based on two sites, Adur Outdoor Activity Centre for the inside sessions and Shoreham Beach LNR for the beach workshops. Armed with ID guides the teachers searched for clues as to how these plants not only survive in this inhospitable environment but actually thrive. The teachers also explored the vegetation looking for invertebrates, birds and lizards that also visit the shingle habitat. 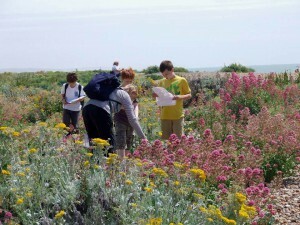 The delegates explored the tide pools and discovered a variety of marine creatures from crabs and shrimps to cockles and sea anemones. A workshop also examined the pebbles and the dynamic coastal processes that formed and continue to shape Shoreham Beach. 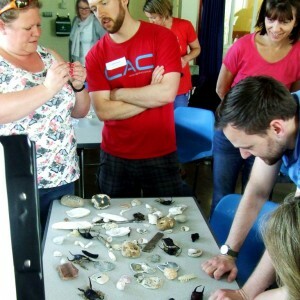 At the same time the teachers collected strandline objects which they examined back in the centre including crab shells, cuttlefish bone, ray egg cases, whelk eggs and even cuttlefish eggs. 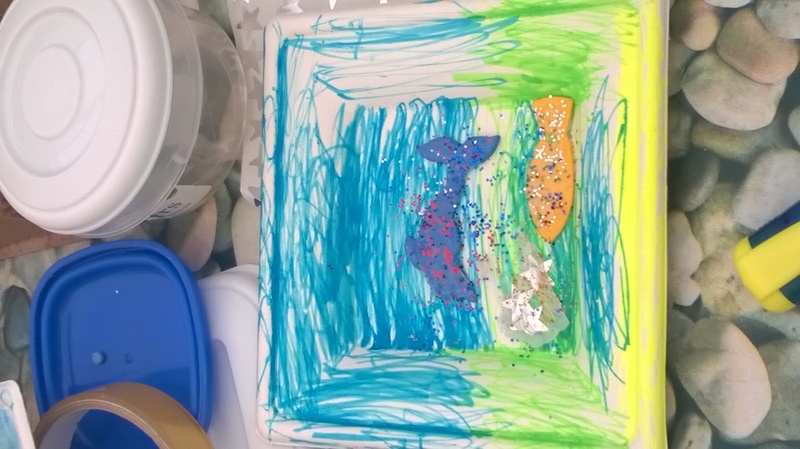 They discovered how these objects and even the beach pebbles have a fascinating story to tell. 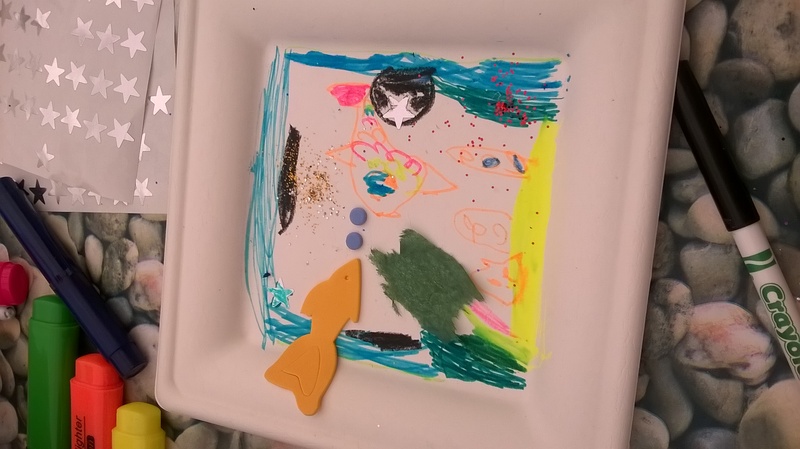 Not all local schools can actually visit the beach so the afternoon workshops also demonstrated the use of simple USB equipment used in our programme, demonstrating live marine creatures in schools using USB microscope devices. 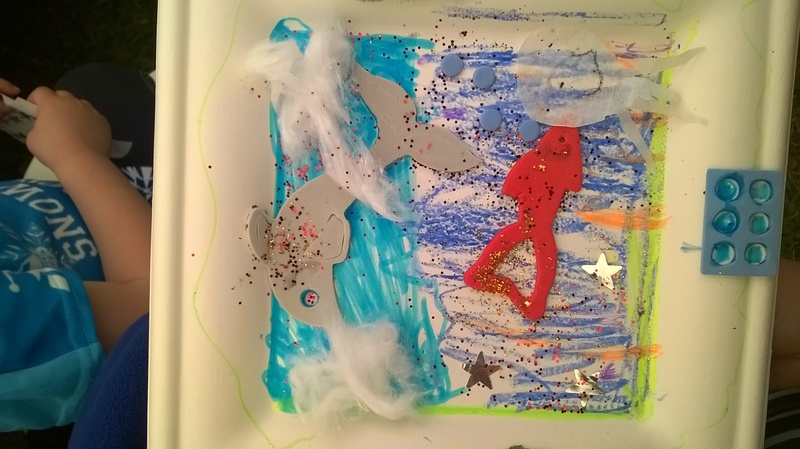 This session also looked at marine myths and folklore and marine conservation issues. The conference was run in partnership with South East Grid for Learning Associates and supported by Friends of Shoreham Beach, who kindly sponsored the room hire. 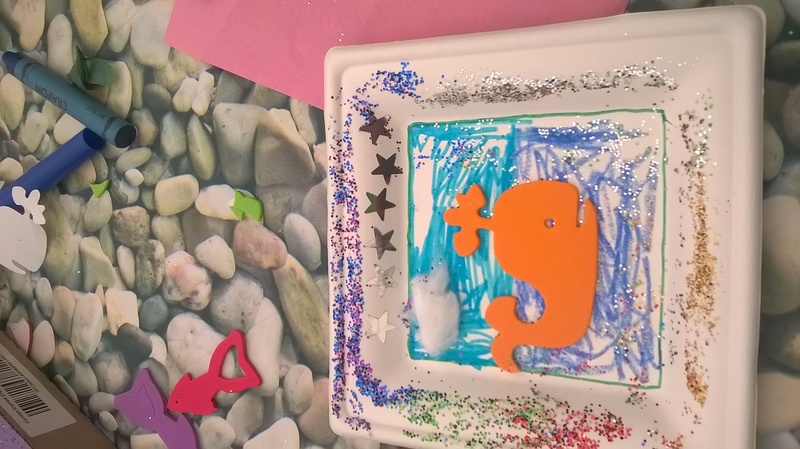 The event was a great success; the feedback from the South East Grid for Learning Associates evaluation forms all listed the quality and usefulness of the sessions and support materials as either good or outstanding. It is hoped that the conference will become an annual event. 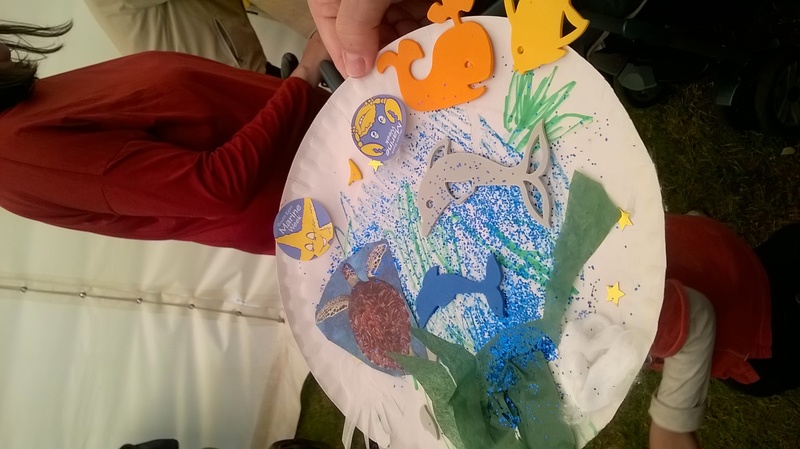 Once again, Friends of Shoreham Beach shared their work and spread the word about caring for beaches and seas at the marquee on Coronation Green in Shoreham. 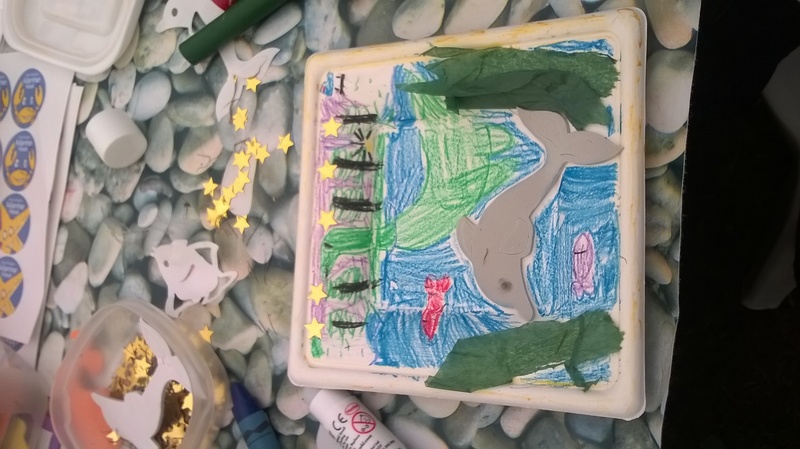 Many children and adults came to see the display of flora and fauna on the beach and to learn about the effects of rubbish and litter on the shore and sea scape. 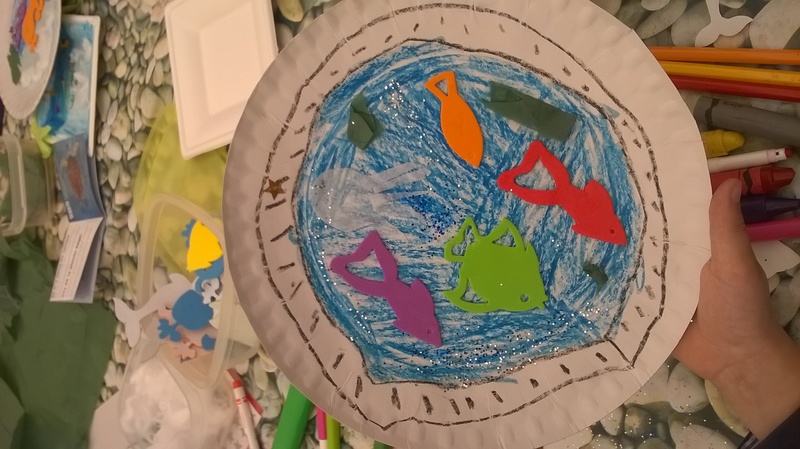 Lots of children made and decorated fish at the art table, ably supported by Julia Fowles and other volunteers and many of their examples are in the Photo gallery under World Oceans day 2015. The event was well supported and once again the live displays attracted much comment and interaction. 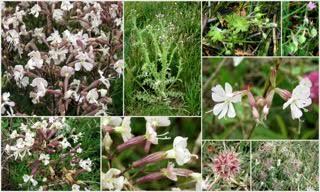 the vast expanses of Red Valerian, the first Yellow-horned Poppy, the very frequent Slender Thistle, the previously unmentioned (or overlooked or mistaken identity) diminutive Hedge Cranesbill Geranium pyrenaicum or Geranium molle, the local patch of the campion-like Italian Catchfly Silene italica, the newly flowering Kidney Vetch and Viper’s Bugloss, the sturdy Tree Mallow, a patch of Mouse-eared Hawkweed, and the wind battered Sea Campion. A new slant on the beach clean effort was supported by 34 adults and eight children who together removed 32 bags of rubbish from around the Fort and along the beach to the Burrels twitten. Following their efforts, Gary Baines from Friends of Shoreham Fort took interested parties on a tour of the Fort and explored its history and significance. FoSF also allowed us to man their tea stall and sell cakes made by committee members and friends to raise funds towards the rock pooling in the summer. Keely Wyatt from the Environment Agency gave a presentation on “Shoreham’s Flood Defences”. Carolyn Shrosbee is retiring from the committee and was thanked for her valuable contribution to FoSB in running Beach Cleans, inspiring us with lively ideas and her artistic contribution to our posters and the new leaflet about the LNR. Joy Daintree, retiring Chair presents flowers and a vote of thanks to Carolyn Shrosbee who is leaving the committee to concentrate on her work with SOLD shop in central Shoreham. 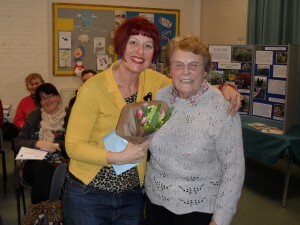 Carolyn had been our link with the Marine Conservation Society, The Princes Trust and handled all the Beach Clean organisation for many years and a big thanks is owed for all her work in the background. John Charlish is taking over her role. Interested in getting involved or have a group who would like to help look after Shoreham Beach? Please contact us.